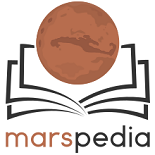 Marspedia is a free online encyclopedia covering all aspects of the planet Mars including scientific topics. The Mars Society, a non-profit 501(c)(3) organization is the primary parent organization of Marspedia. Marspedia offers an unpaid internship program in partnership with several Universities worldwide. This program is perfect for Science Journalism students who’d like to build their skillset and work on a hands-on project that has tangible results to help the field they are entering. · assistance and oversight via regular 1:1 check-ins, and during our weekly editorial call to ensure they have everything they need to contribute effectively to the encyclopedia. · Students completing an internship for academic credit must typically complete at least 120 hours over the course of the Fall/Spring/Summer program. Exact details depend on the university program they are in, and Marspedia’s opportunities can be adjusted to match those requirements. · Non-credit internships have a time commitment as well. Exact Time commitment agreed upon ahead of time. · A time tracking tool will be utilized to provide records of participation. This page was last edited on 8 October 2018, at 16:34.